You can jump online, search for an insurance quote, buy a policy and move on in practically no time. It’s quick and easy but it’s also lacking in a very, very important aspect: You’re on your own. You don’t have a trained professional helping you make the right decisions to protect yourself as cost-effectively as possible. And, when you need help with a claim or a coverage issue, you don’t have a friend you can call on. While it may sound cliché, you should think of your insurance agent as a friend. Granted he or she is not the kind of friend you have over for Sunday dinner. 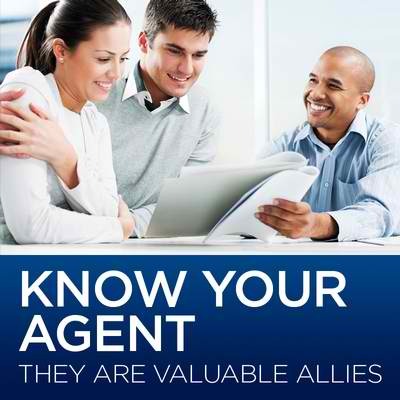 But your agent can be a valuable friend when you are in need. Talk to your agent about your lifestyle, your goals, possessions, family and future. As your agent gets to know you, he or she can fit your insurance to you. In addition to the facts and figures of your life, your agent will know the intangibles that can determine what’s best for you and your family. If you are in a car accident, your home is broken into or a loved one dies, you need help at a time when you are not at your best. Having a relationship with your agent gives you a friendly voice to help when you need it most. Save the online shortcuts for books, games and gifts. When it comes to insurance, your best connection is a personal one.